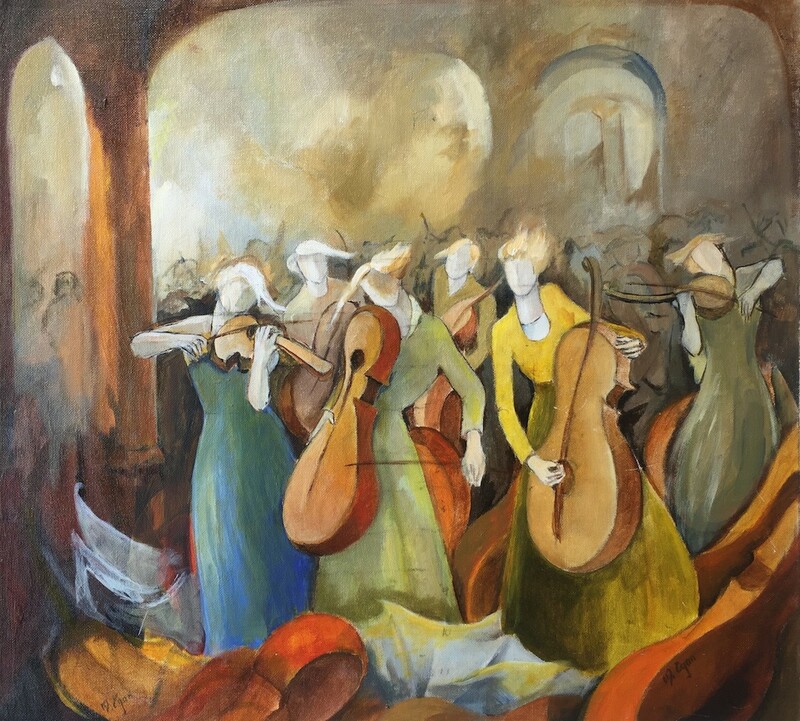 Margaret Egan, Sketch for "Movement of Sound"
Solomon Fine Art is delighted to host an exhibition of new paintings by the talented and hugely successful artist Margaret Egan opening on the 28thSeptember 2017 and running until the 21st October 2017. 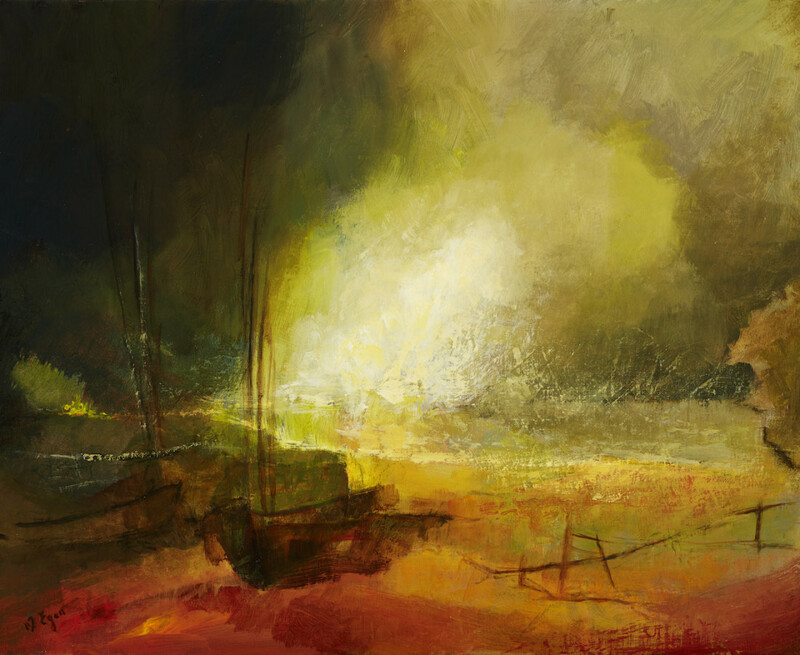 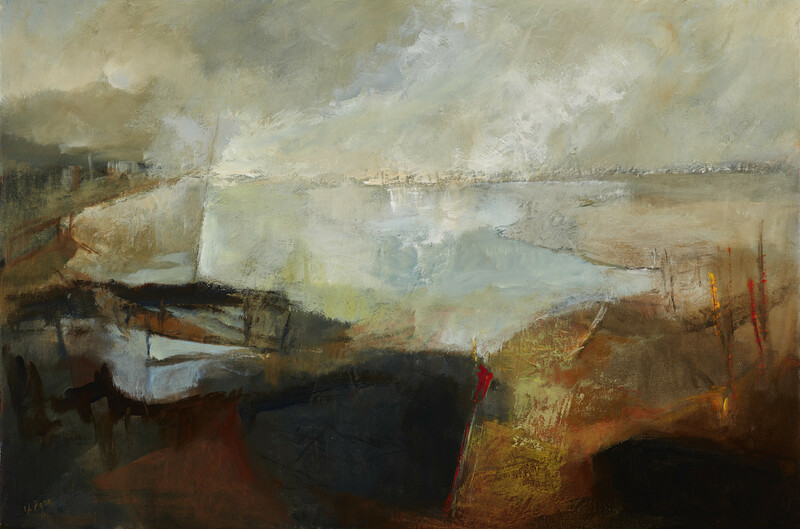 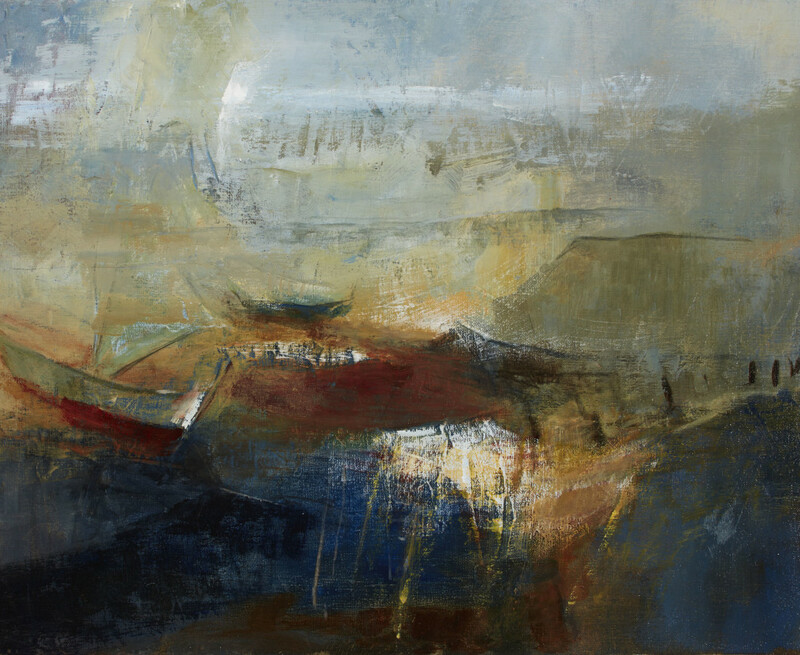 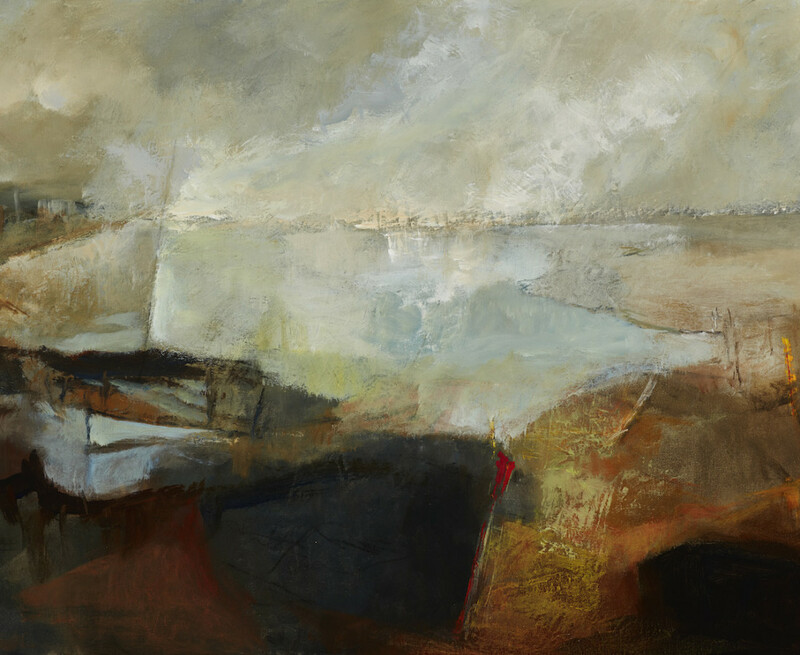 Margaret has captured ‘A Slice of Life’ for this exhibition with a collection of her distinctive figurative works and stunningly atmospheric landscapes. 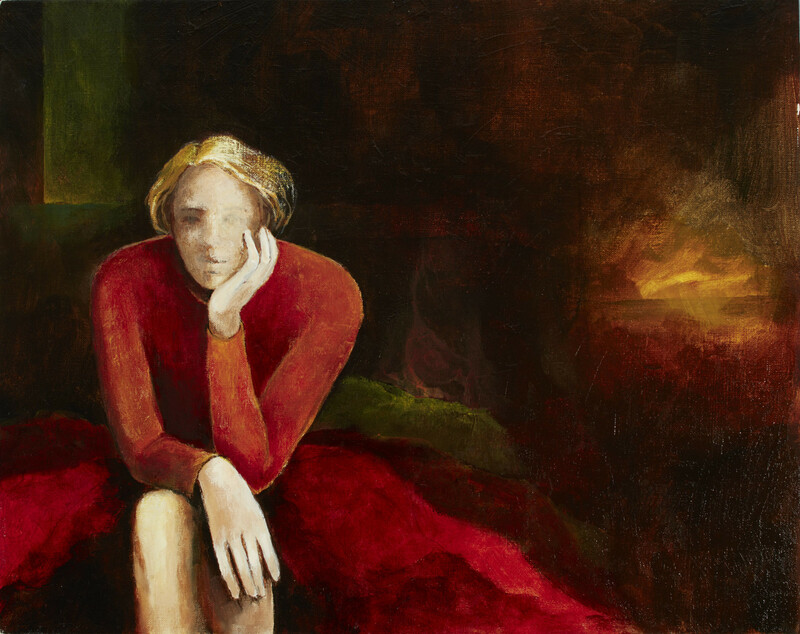 Her figures are abstracted with finely drawn outline and always quiet in mood. 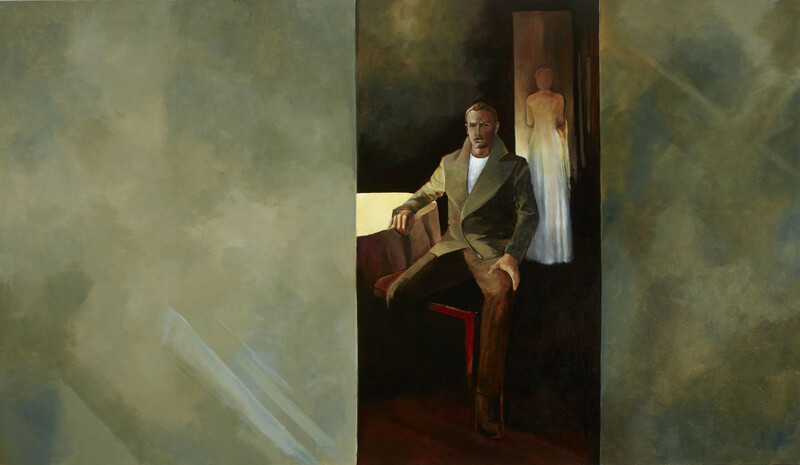 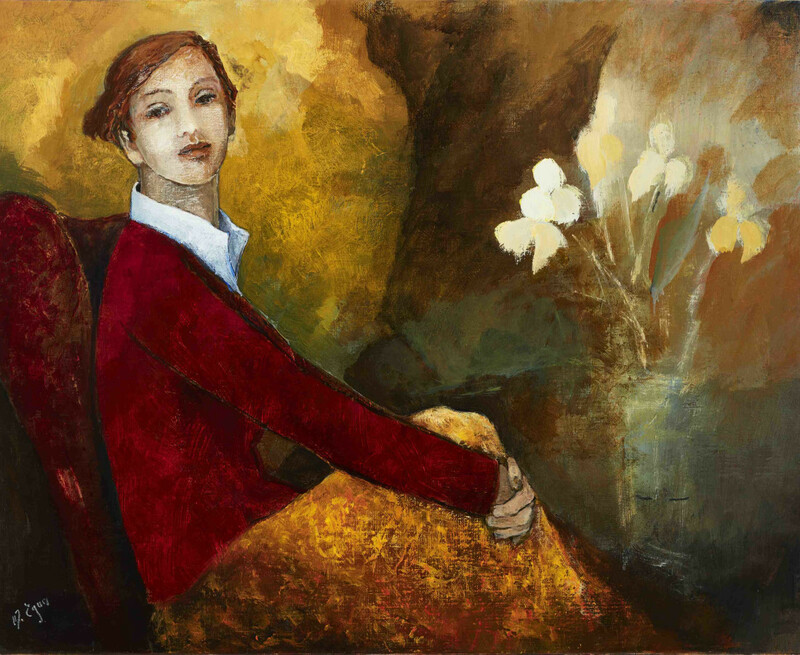 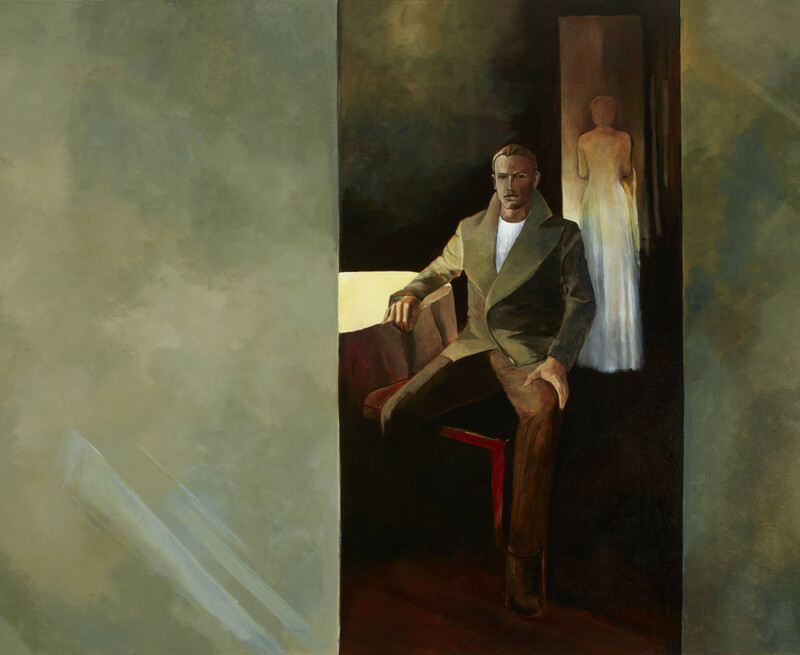 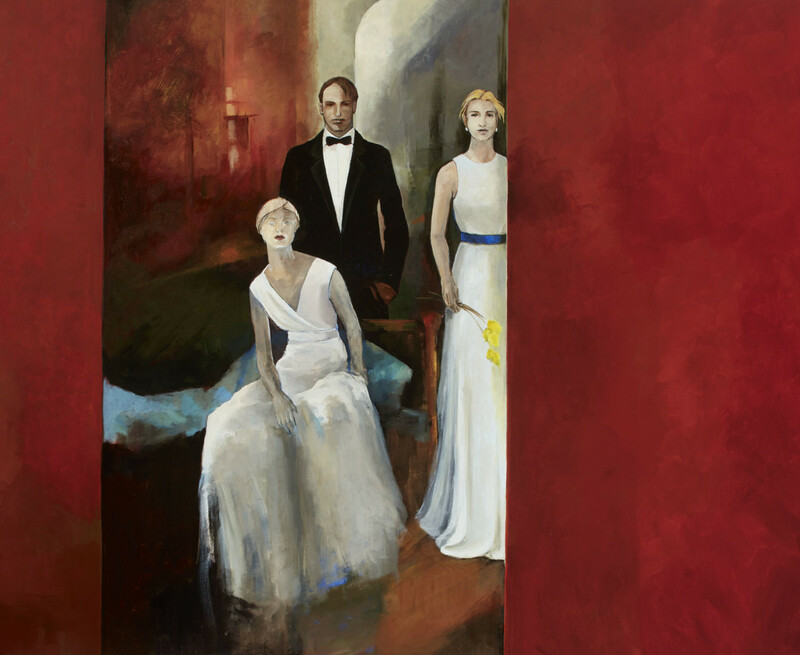 She uses balanced, harmonious tones of both strong and muted colours to represent these graceful, contemplative figures set in backdrops as evocative and atmospheric as the figures within them. 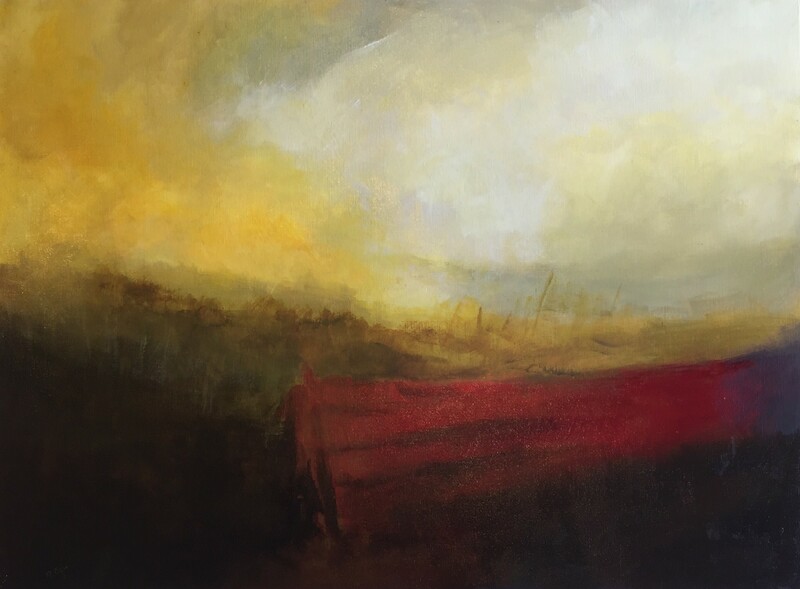 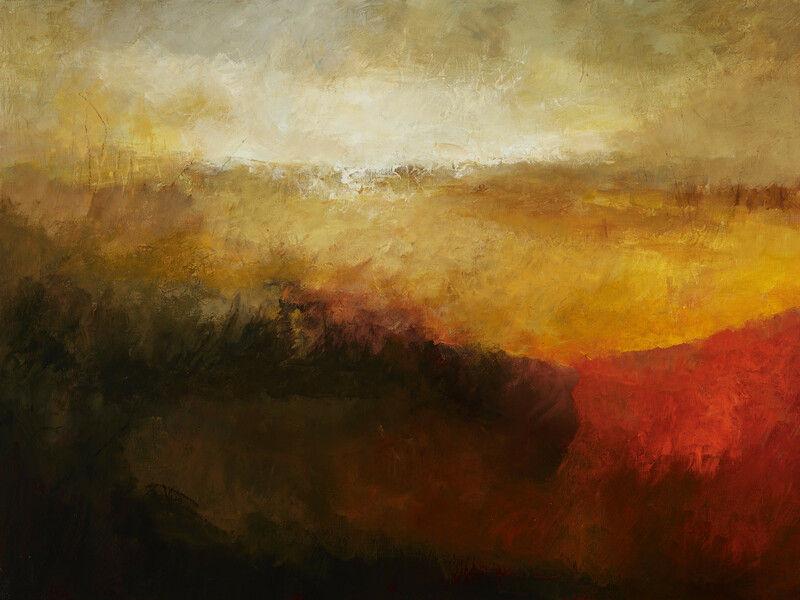 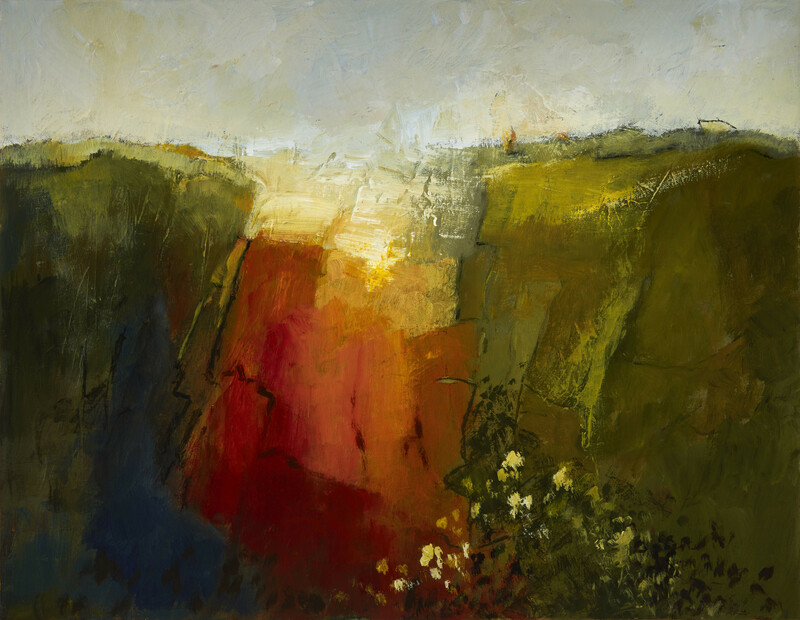 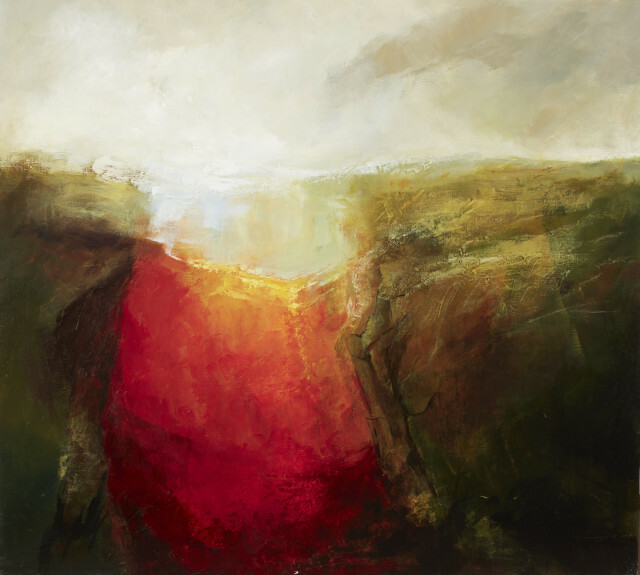 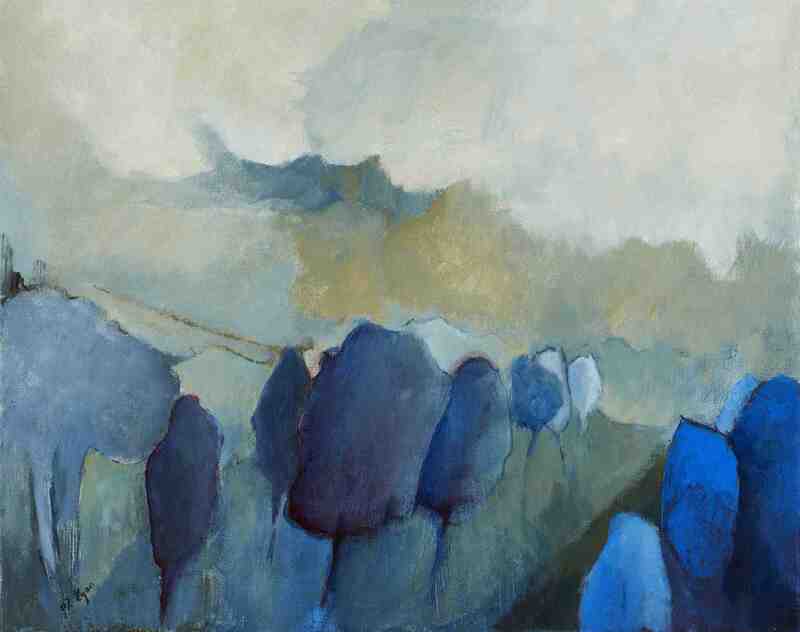 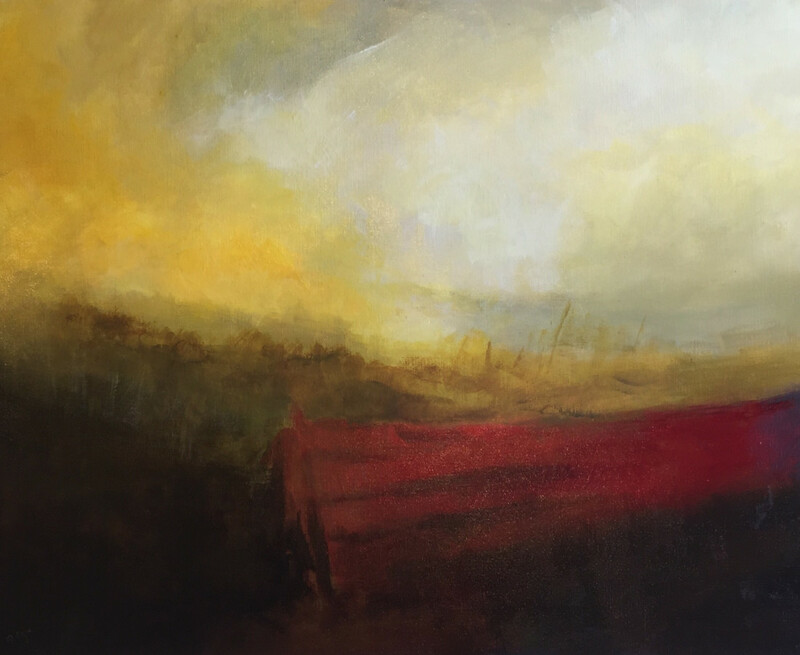 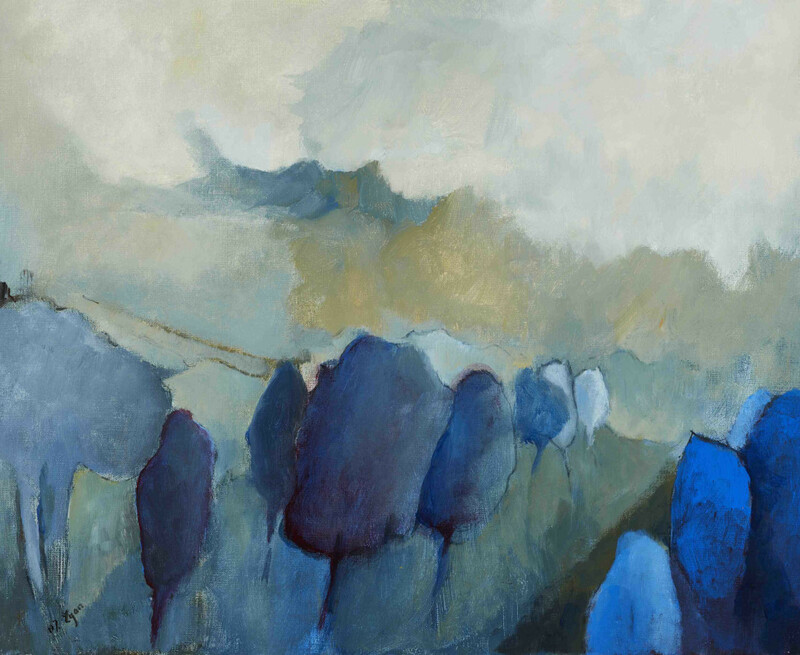 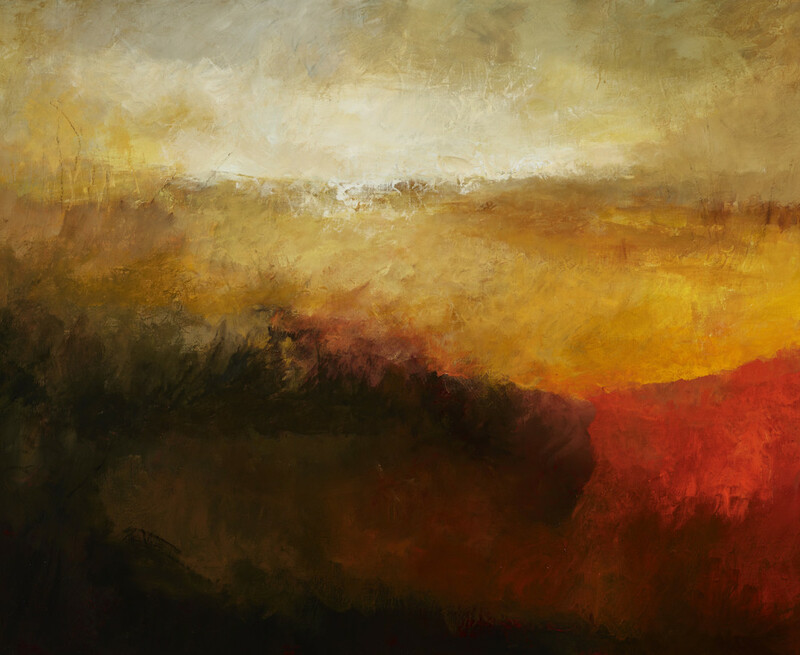 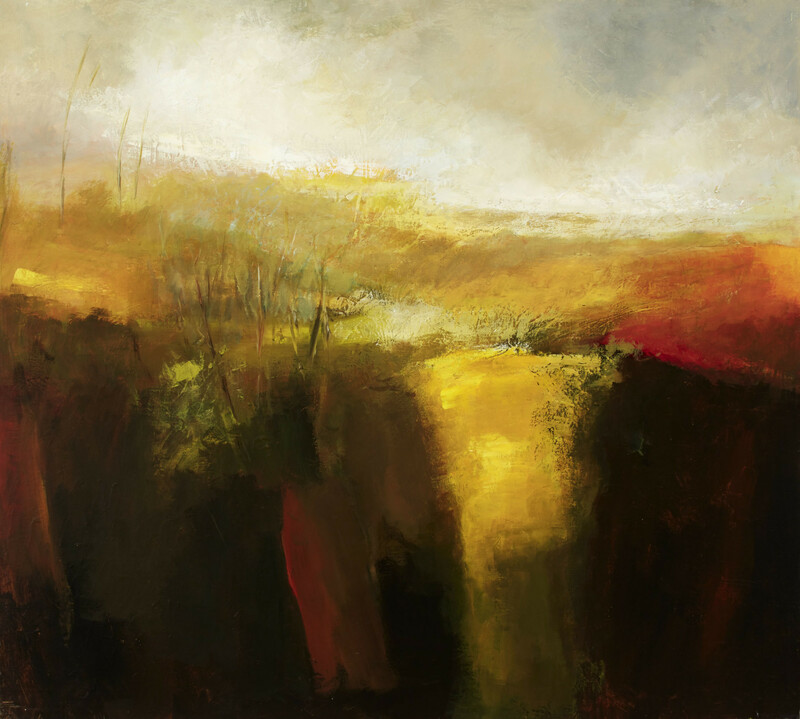 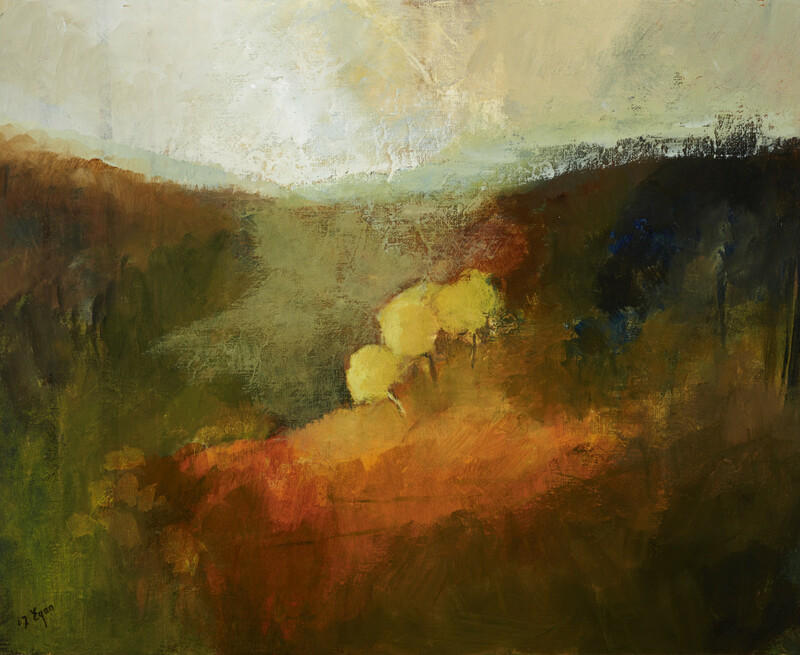 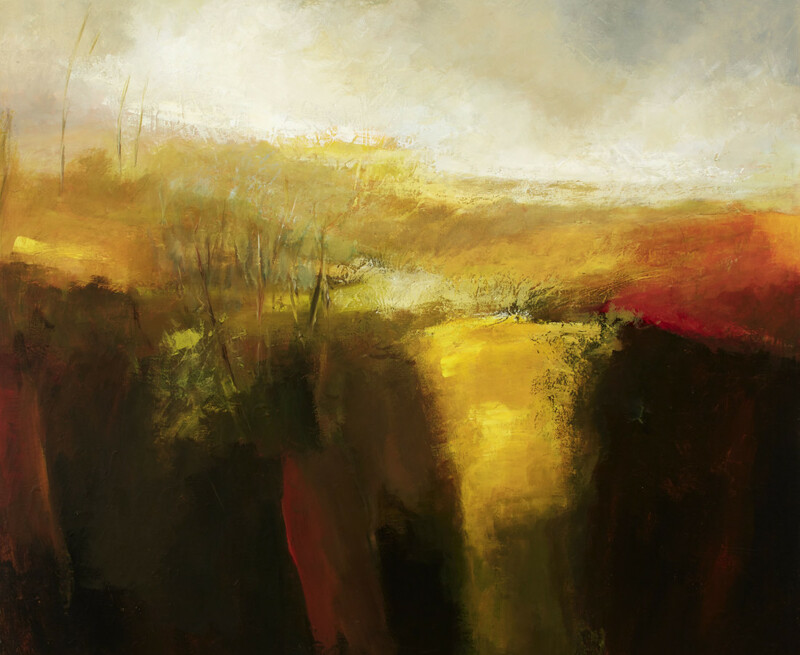 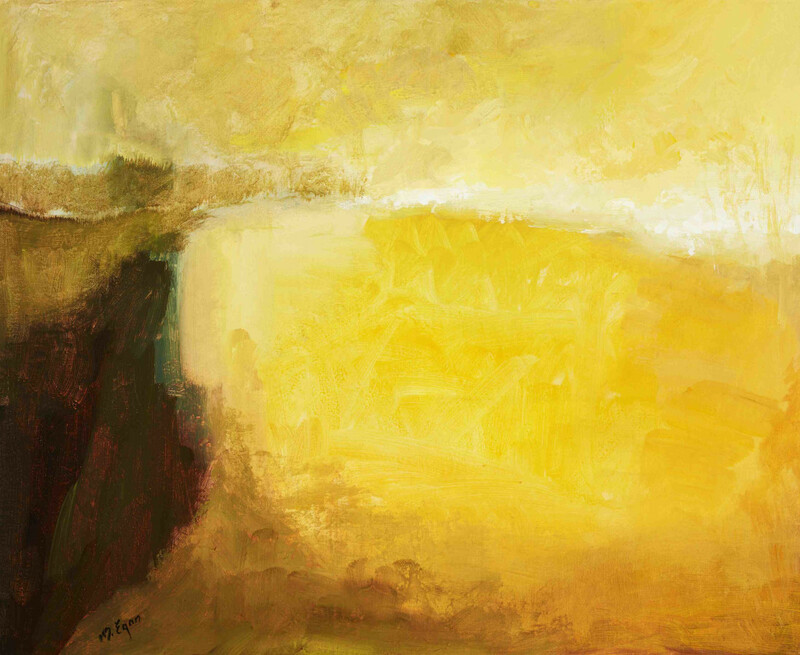 Margaret Egan’s landscapes are bold and energetic and full of feeling with grey skies and vibrantly coloured foregrounds; using loose, blended brushstroke she captures the wild nature of the Irish landscape. 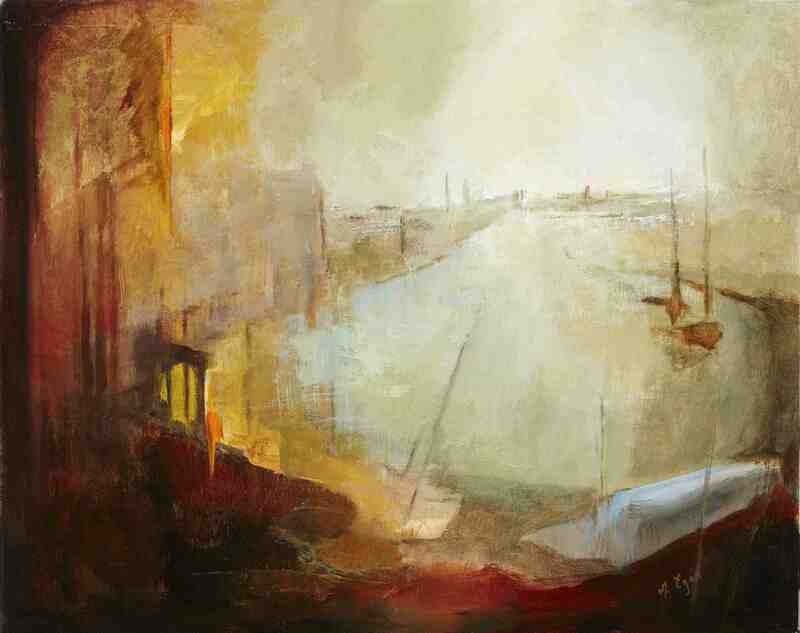 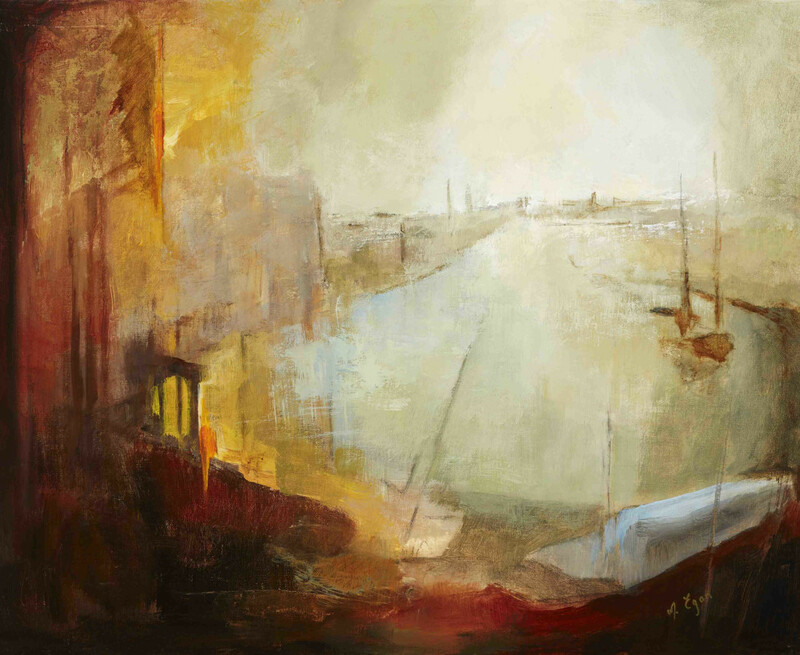 Born in New Ross, Co. Wexford, Margaret now lives and works in the seaside town of Monkstown, Dublin. After qualifying as a draftswoman, she studied under the famous Breton sculptor, Yann Renard Goulet, RHA from 1963–67 and then continued her education at the National College of Art in Dublin from 1967-69. 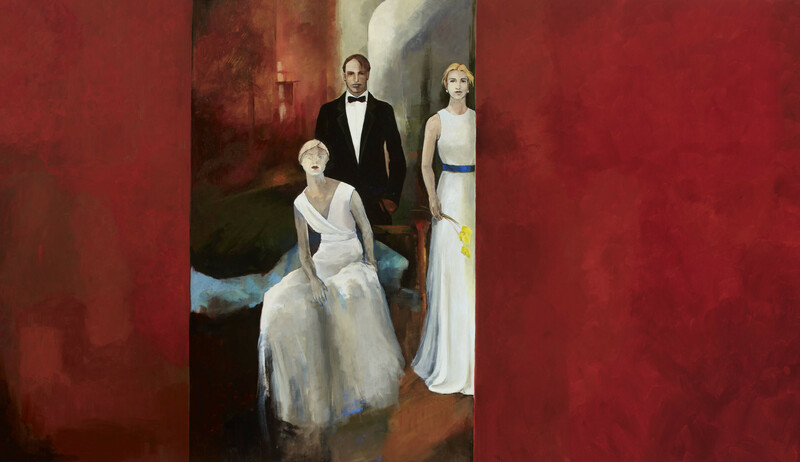 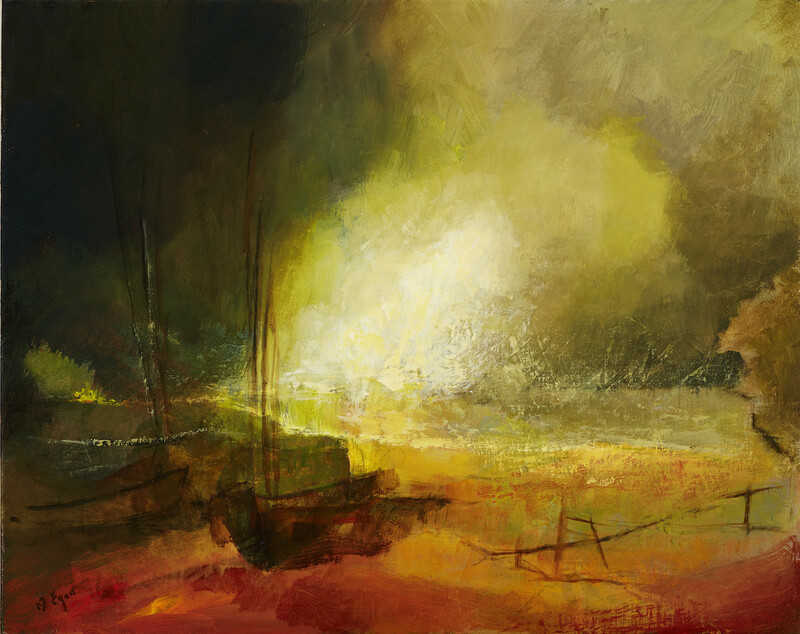 Margaret has been exhibiting her work since then, both at home and abroad and has received much critical acclaim. 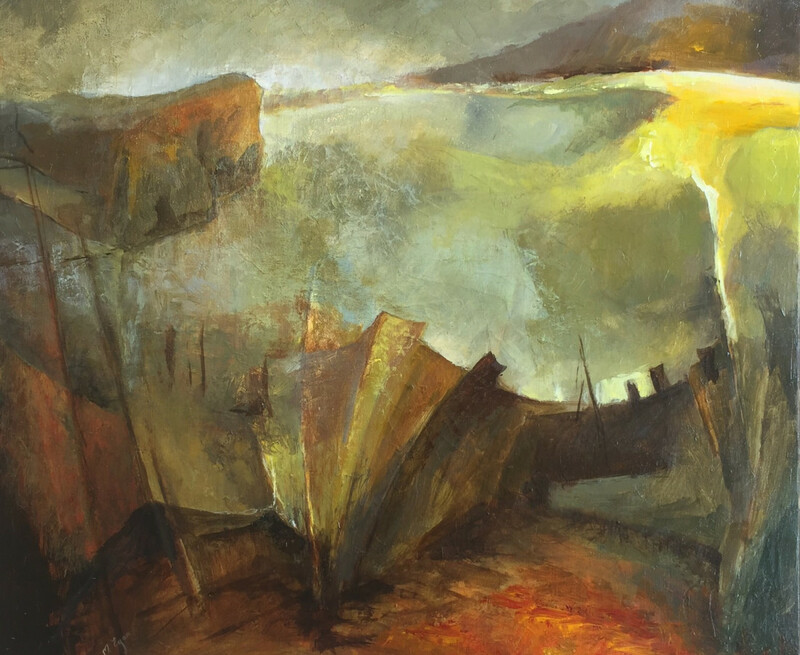 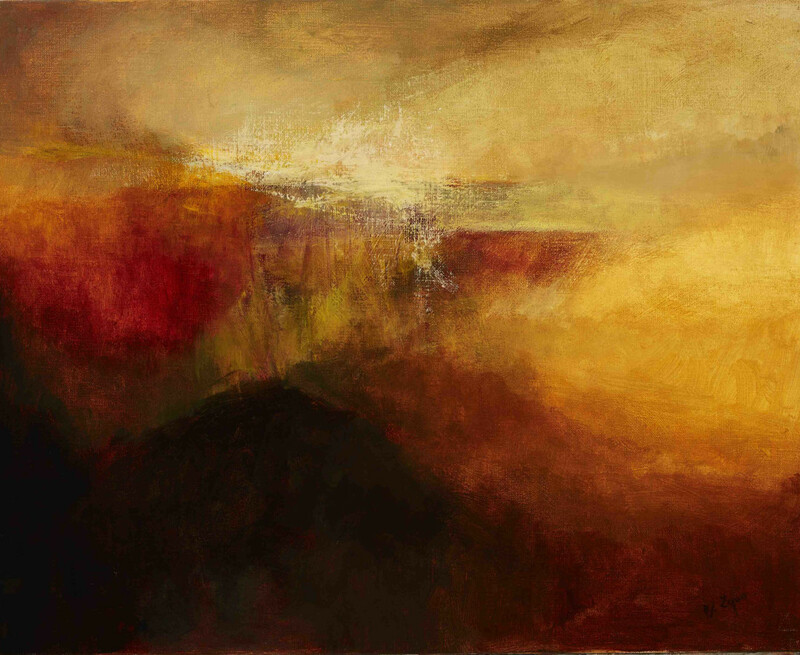 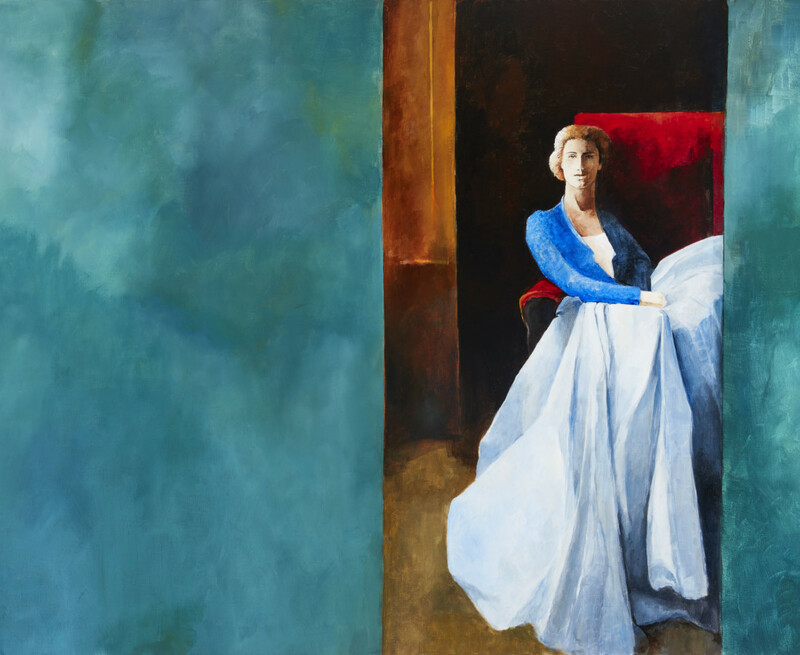 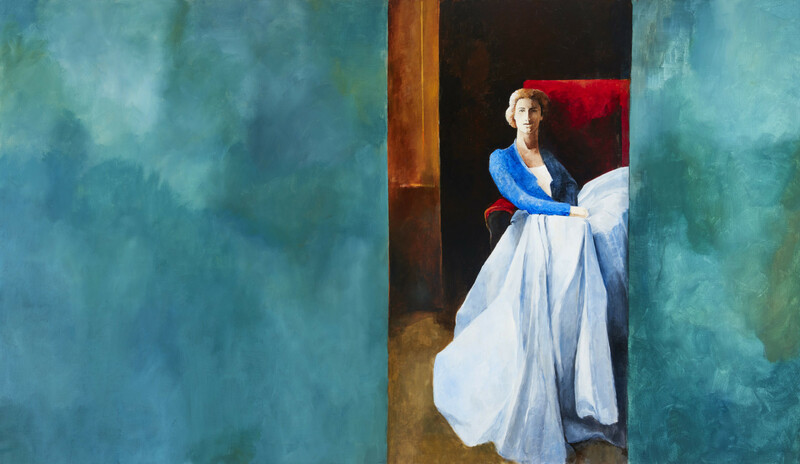 Her work has been shown in Ireland, England, Wales, France, Portugal, New York and Singapore in both public and private collections including in Deloitte Ireland, the National Concert Hall and The Abbey Theatre Dublin. 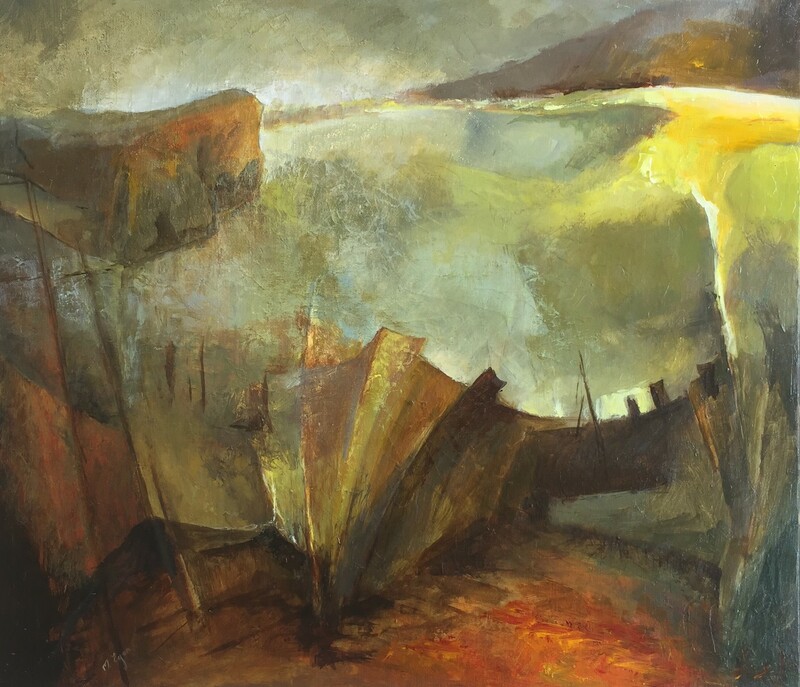 The National Concert Hall in Dublin very recently unveiled a large commission by Margaret Egan for its Kevin Barry Recital Room. 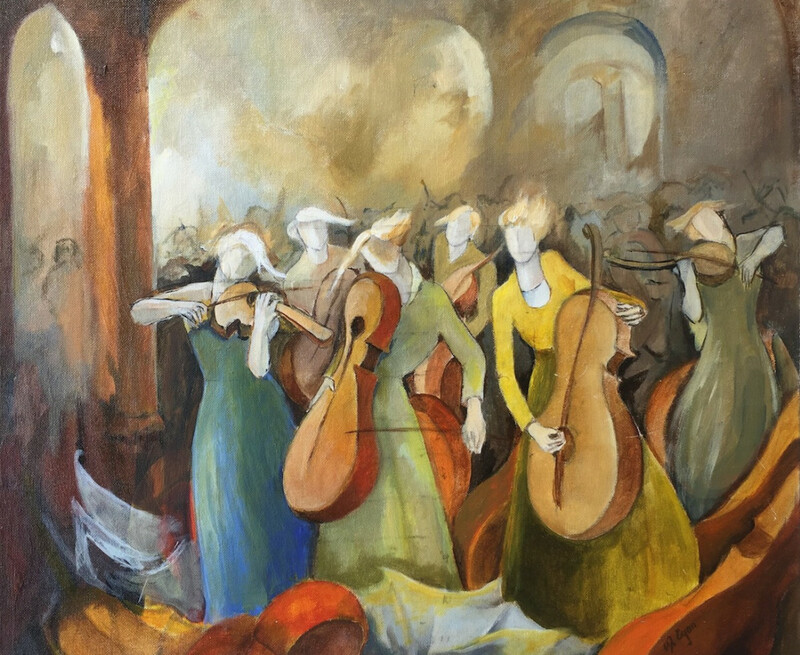 The Movement of Sound depicts an elegant orchestra of standing string players in a classical setting, its graceful, swaying figures depicted in bright harmonious tones.